MVA grants you a nonexclusive license to download software, including any files, images, or audio or video clips incorporated in or generated by the software, and data accompanying the software (collectively, “the Software”), from this Site for the purpose of using the materials on this Site. MVA retains full title to the Software, and all intellectual property rights therein and does not transfer the title to you. You may not redistribute, sublicense, transfer, assign, sell, decompile, reverse engineer, disassemble, or otherwise reduce the Software to a human-perceivable form. By downloading Software you will be subject to the terms and conditions of such Software. You may be required to set up an account to use the Site or portions thereof. If you are required to set up an account, you agree to provide accurate, current, and complete information about yourself as required, to maintain and update such information, and to be fully responsible for all use of your account and for any actions or activities that take place using your account. You are responsible for maintaining the confidentiality of the information associated with your account, including any passwords. You agree to notify MVA immediately of any unauthorized use of your account or password. Any fraudulent, abusive or otherwise illegal activity on this Site by you may be grounds for termination of your account or rights to use this Site, at MVA’s sole discretion, and we may refer you to appropriate law enforcement agencies. MVA welcomes anybody to link to this Site. Links may resolve to the home page, moonvillageassociation.org, or to specific pages within this Site. Direct linking to individual files (i.e., images, multimedia files, etc.) is not permitted. 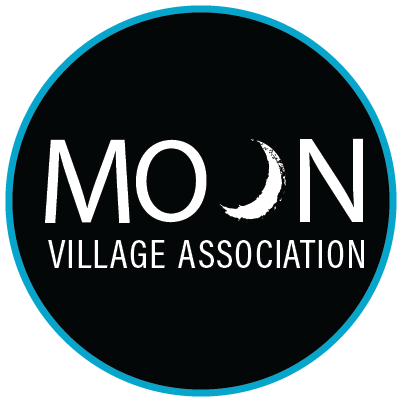 You may not use a Moon Village Association trademark, other proprietary MVA content, or Site Content to link to this Site. Links to this Site should not assert or imply an endorsement by or affiliation with MVA. This Site may contain links to third-party websites, including advertisers and social networking websites in which MVA maintains a profile (“Linked Site”). MVA makes no claim or representations regarding and accepts no responsibility directly or indirectly for the security, quality, content, nature, or reliability of any Linked Site. The Linked Sites are not under the control of MVA, and MVA is not responsible for and does not endorse the content of any Linked Site. MVA is providing these links to you only as a convenience. You should review any terms and policies of any Linked Site before interacting with the Linked Site. This Site may include social networking tools, discussion forums, blogs, bulletin boards, message boards, other interactive areas or services, or other areas or services in which you can post messages, comments, materials, photos, information, updates, opportunities, recommendations, etc. (collectively, “User Forums”). Users should be aware that the ideas you post and information you share may be seen and used by others. To protect your safety, privacy and intellectual property, please consider that when you voluntarily disclose personal information and ideas on the User Forums, that information can be collected and used by others. MVA is not responsible for another person or entity’s misuse or misappropriation of any content, ideas or information you post on the Site and/or in User Forums. The information and opinions expressed in the User Forums are not those of MVA or its affiliates or subsidiaries, and MVA makes no representations or warranties regarding such posted materials. You are entirely responsible for your use of any User Forums and use the User Forums at your own risk. This Site contains facts, advice, reviews, opinions, statements, advertisements and recommendations of third-party individuals and organizations (collectively, “Third-Party Materials”). MVA is not responsible for or does not endorse the parties posting the Third-Party Materials or the accuracy, availability, timeliness, or reliability of any of the Third-Party Materials. Any reliance upon any Third-Party Materials is at your sole risk. The materials on this Site are provided solely for educational, humanitarian and promotional purposes. MVA does not warrant that the Site will meet your requirements or provide specific results, be uninterrupted, timely, secure, or error-free, that defects will be corrected or that the Site, or the server that makes it available, is free of viruses or other harmful components. USE AND BROWSING OF THIS SITE AND ANY LINKED SITES IS AT YOUR OWN RISK. ALL CONTENT AND MATERIALS ON THIS SITE ARE PROVIDED “AS IS” WITHOUT ANY WARRANTY OF ANY KIND AND IS SUBJECT TO CHANGE WITHOUT NOTICE. MVA MAKES NO REPRESENTATIONS OR WARRANTIES OF ANY KIND REGARDING MOONVILLAGEASSOCIATION.ORG, THE CONTENT, ADVERTISING, INFORMATION, PRODUCTS, OR SERVICES AVAILABLE ON OR THROUGH THIS SITE, AND/OR THE SUITABILITY, RELIABILITY, AVAILABILITY, TIMELINESS, LACK OF VIRUSES OR OTHER HARMFUL COMPONENTS, AND ACCURACY OF THE INFORMATION CONTAINED IN THIS SITE FOR ANY PURPOSE AND/OR THE RESULTS THAT MAY BE OBTAINED FROM USE OF THIS SITE OR SUCH CONTENT OR SERVICE. MVA HEREBY DISCLAIMS ALL WARRANTIES AND CONDITIONS WITH REGARD TO THIS SITE, INCLUDING ALL STATUTORY, EXPRESS AND IMPLIED WARRANTIES, INCLUDING WITHOUT LIMITATION WARRANTIES AND CONDITIONS OF MERCHANTABILITY, FITNESS FOR A PARTICULAR PURPOSE, TITLE, ACCURACY, AND NONINFRINGEMENT. EXCEPT WHERE PROHIBITED BY LAW, IN NO EVENT SHALL MVA BE LIABLE FOR ANY DIRECT, INDIRECT, PUNITIVE, INCIDENTAL, SPECIAL, OR CONSEQUENTIAL DAMAGES OR ANY DAMAGES WHATSOEVER (INCLUDING, BUT NOT LIMITED TO, DAMAGES FOR YOUR USE OR YOUR INABILITY TO USE EQUIPMENT OR ACCESS DATA, YOUR LOSS OF DATA, LOSS OF BUSINESS, LOSS OF REVENUE, LOSS OF INCOME, LOSS OF CONTRIBUTIONS OR PROFITS, BUSINESS INTERRUPTION, OR THE LIKE), WHETHER BASED IN CONTRACT, TORT, NEGLIGENCE, OR STRICT LIABILITY LAW, OR OTHERWISE, INCLUDING WITHOUT LIMITATION ANY DAMAGES ARISING OUT OF OR IN ANY WAY CONNECTED WITH YOUR USE OR PERFORMANCE OF THIS SITE,THE SITE CONTENT, LINKED SITES OR THIRD-PARTY MATERIALS, WITH ANY DELAY OR INABILITY TO USE THE SITE, OR FOR ANY INFORMATION, SOFTWARE, PRODUCTS, SERVICES, AND RELATED GRAPHICS OBTAINED THROUGH THE SITE EVEN IF MVA OR ANY OF ITS SUPPLIERS HAS BEEN ADVISED OF THE POSSIBILITY OF DAMAGES. YOUR SOLE AND EXCLUSIVE REMEDY FOR ANY OF THE ABOVE CLAIMS OR ANY DISPUTE WITH MVA IS TO DISCONTINUE USING THE SITE. SOME JURISDICTIONS MAY NOT ALLOW LIMITATIONS ON LIABILITY, THEREFORE, THE ABOVE LIMITATIONS MAY NOT APPLY TO YOU. You agree to defend, indemnify, and hold harmless the Moon Village Association, including their respective directors, trustees, officers, committee members, employees, agents, contractors, subcontractors, and representatives from and against all claims (including, claims of patent, trademark, and copyright infringement), demands, actions, damages, losses, costs, liabilities, expenses (including reasonable attorneys’ fees and other legal expenses), awards, fines, and judgments asserted against or recovered from MVA due to, arising out of or in connection with your use of the Site and any User Content you post. MVA shall not be liable in any way for injuries to persons or damages to property incurred or suffered by you or any of your subcontractors, agents, heirs, successors or assigns, or any person related to you in any way. This Site is controlled, operated, and administered by MVA from its headquarters within the European Union (Austria). MVA may change, suspend, interrupt, terminate operation or access to, or discontinue the Site or any portion of the Site at any time, without notice, including the availability of Site Content, User Forums and any other services. MVA may also impose limits on the Site or restrict your access to parts of or the entire Site and Site Content without notice or liability. MVA reserves the right to charge fees for access to the Site and will give you notice of any such fees.